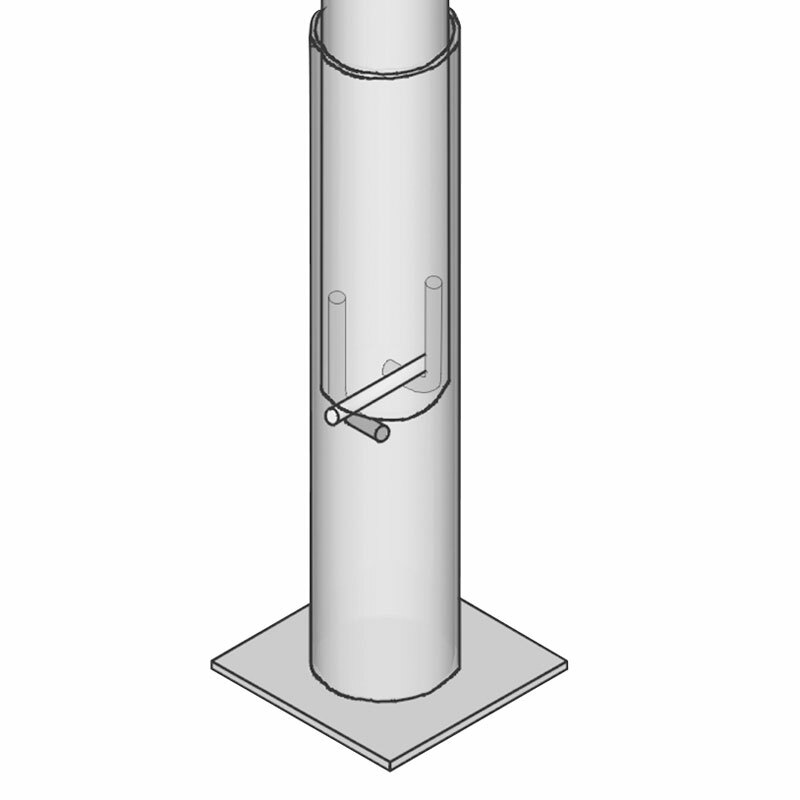 The Harrod Sport ® Lock Socketed Super Heavyweight Steel Football Posts 21ft x 7ft are a traditional steel goal posts. Manufactured from heavy gauge material these posts are designed for durability. 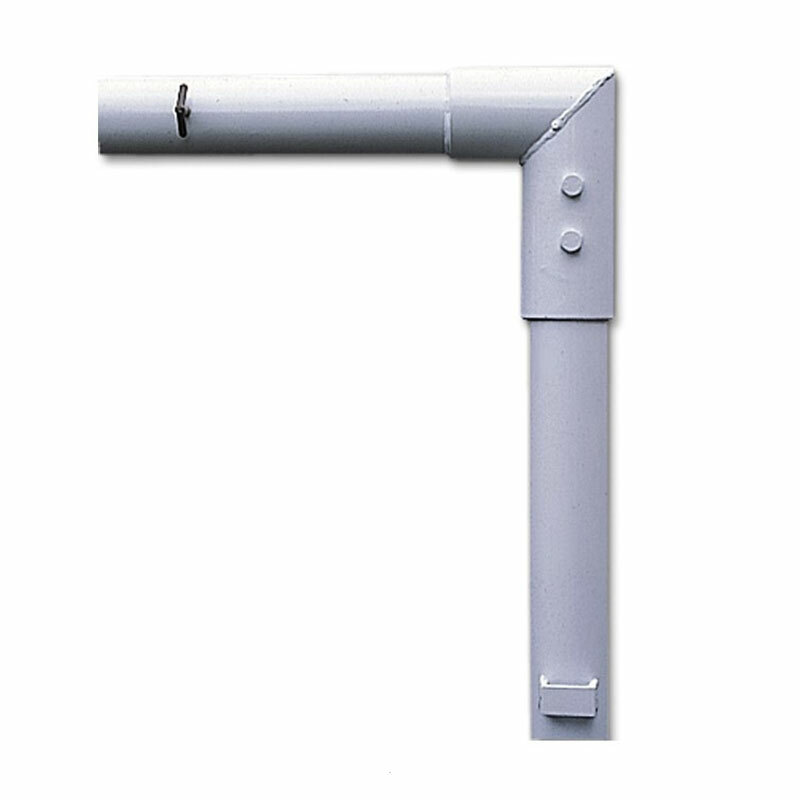 This goal utilises the Bayonet Twist locking socket mechanism for added security ensuring the goals cannot be easily removed by unauthorised personnel. 2 x Socketed Steel Goal Posts 21ft x 7ft. 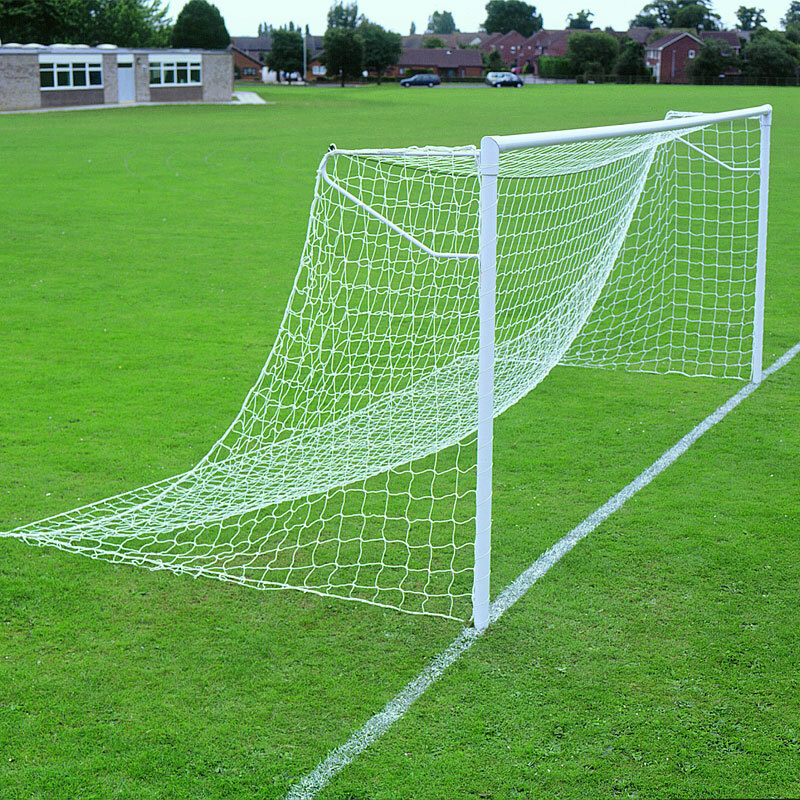 1 x Socketed Steel Goal Post 21ft x 7ft. The Bayonet Twist locking socket mechanism for added security. Hexagonal rivet fixing ensures uprights are securely fixed to the crossbar joints. 76mm diameter x 3mm thick steel uprights and crossbars. Complete with 460mm deep sockets with 80.9mm diameter internal measurement. Sockets are designed to allow uprights to sit 313mm deep into the socket. 6.4m x 2.13m (21’ x 7’) - 144kg per pair, 72kg per single.